This is a Du-Bro 32 Ounce Fuel Tank. 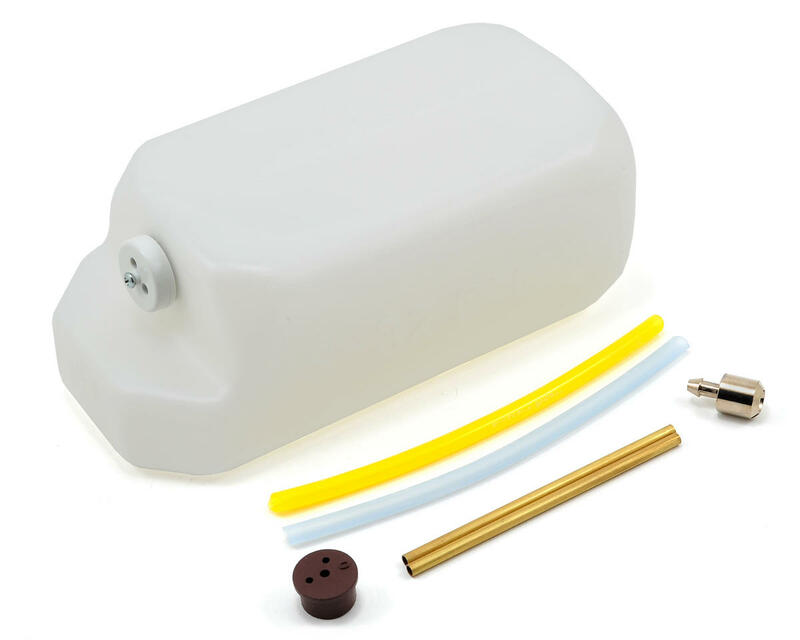 This tank comes complete with a stopper and fuel tubing for both gas and glo-fuel, and proportionally larger brass tubing and clunk. 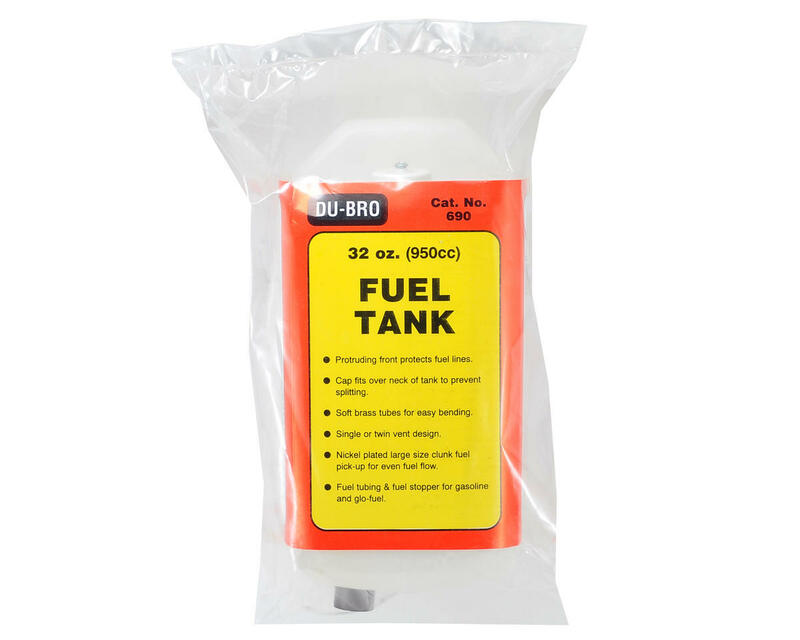 Du-Bro fuel tanks will not split or crack from vibration or pressure. Du-Bro Fuel Tanks are designed to be tough! In fact, this fuel tank can be used with a pressurized fuel system!